In a family that has over 400 years of farming history, you can well imagine that passing on knowledge and ensuring that the land is cared for into the next generations is a serious priority. There is a lot of talk in the farming community about who will be growing our food in the future. 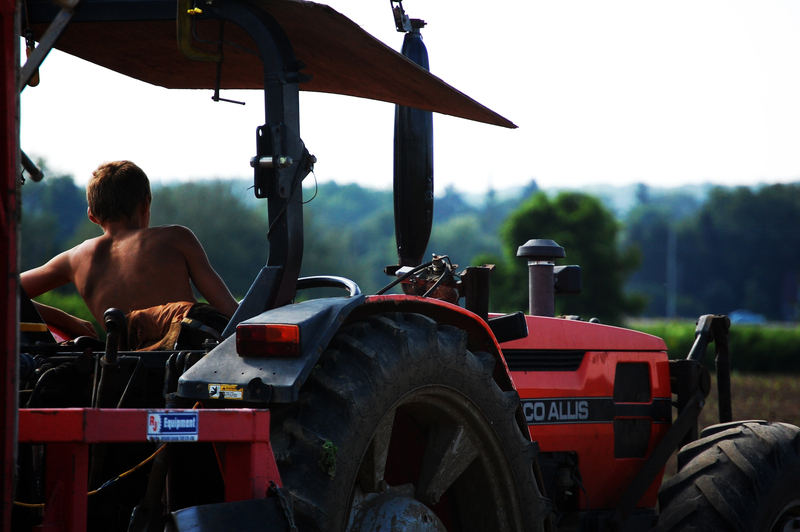 With an aging population and many farms having no clear succession within their own family, there are many farms looking to urban-born people seeking a return to agriculture. Some of the next generation is already engaged in the business, growing into the roles we hope they will someday enjoy filling. Here at Pfenning’s, we have been lucky to have a smooth transition from one generation to the next and we hope our young adult children will someday fill our shoes. That transition is still some years in the future. We are actively participating in training the next generation of farmers though. A few weeks ago I shared a blog post written by one of our students. Over the last five years Fleming College has supplied us with a number of excellent summer workers through their Sustainable Ag program. These students are part of the future of farming. They come to work on our farm and learn what can’t be taught in a classroom. 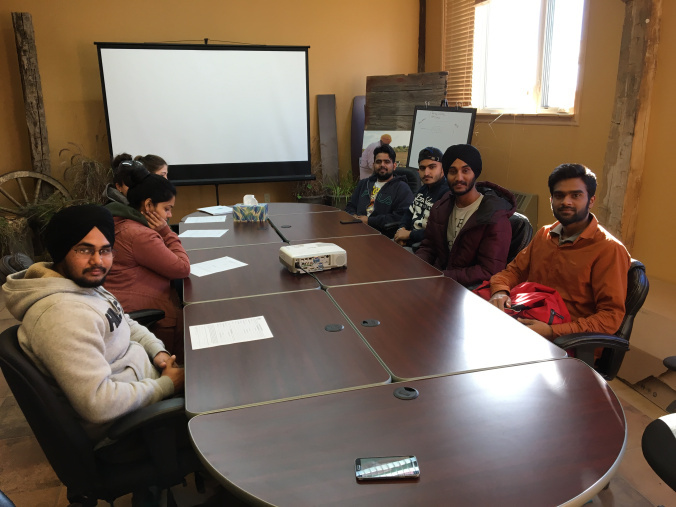 Our student group, including Guri and Jaspal receiving their orientation and safety training. 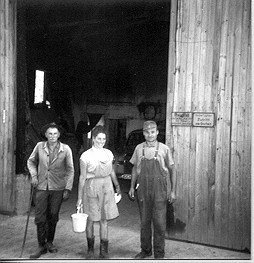 It is a pleasure to read the blogs they write giving us a glimpse of our farm from fresh eyes. Guri’s first blog about spinach was shared here a few weeks ago. His second blog Hoeing Vs Rain and Memories is an infectiously happy and beautifully illustrated post with lots of pictures from the fields. In Experience of June Month, Jaspal shares his perspective and captures the excitement farmers all feel as things are growing, sometimes seemingly in front of our eyes!